Most dogs’ normally have between 49 & 53 vertebrae, depending on their tail length. However brachycephalic (short faced), screw tailed breeds such as the French Bulldog, the English Bulldog, Boston Terriers & Pugs have 10 to 15 fewer vertebrae in the tail region of their spine. The twist in their tail is caused by a malformation of the vertebrae called Hemivertebrae. Hemivertebrae in the tail region of the spine is perfectly normal in these particular breeds, and does not cause any problems. However if Hemivertebrae develops anywhere else along their spine, it can cause the spine of the dog to twist. In many cases, if only a single vertebra is affected, no clinical problems are ever seen and the dogs remain A-symptomatic and healthy for the rest of their lives. However If more than one vertebra is affected, the probability of clinical problems increases. The more vertebrae that are affected, the greater the degree of curvature in the spine is likely to be, and the risk of spinal cord damage is increased. If severely affected, symptoms can present as early as four months old. Mode of inheritance is currently unknown, symptoms include pain and or loss of sensation, weakness, muscle wastage, loss of bladder and bowel control, and paralysis in the hind limbs, particularly if the spinal cord becomes damaged. Any body part which receives its nerve supply from the damaged/twisted part of the spine could be affect. 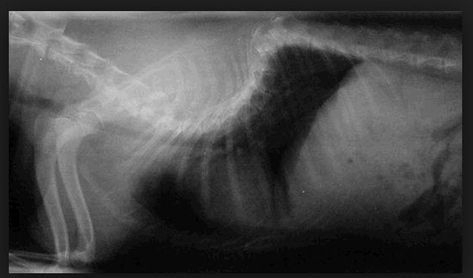 The Pug Dog Club UK recommends that, prior to breeding pugs should be X-rayed to determine whether or not they have any affected vertebrae in their spine. Breeders are advised to only breed from dogs which are as clear as possible. 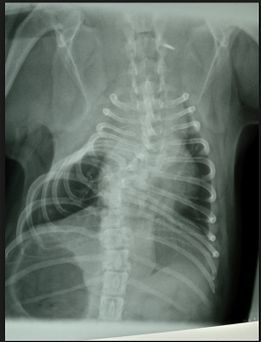 The X-Rays are not able to identify carriers of this condition,(IE Carriers = dogs that may potentially produce affected ofspring) however by following these recommendations the number of affected puppies being produced should be dramatically reduced. Pug Dog Encephalitis (PDE) is an inflammatory disease of the brain and central nervous system. This disease is a genetic condition which is specific to pugs; symptoms include seizures, depression, ataxia (a staggering walk), abnormal gait and blindness. It is a rapidly progressing disorder for which there is no cure, and is invariably fatal. All dogs either die or are put to sleep within a few months after the onset of clinical signs. Female pugs are slightly more likely to be affected compared to males. The majority of affected pugs are less than 3 years old, and pugs as young as 6 months can show clinical signs/be affected. The DNA/Genetic test that is available does NOT diagnose PDE; it determines the risk each individual pug dog has for developing it during its lifetime. The results for each dog would be : There are no CLEAR dogs. N/N - Pugs that have no copies of the NME/PDE associated markers = (N/N) are at low risk of developing the disease. N/S - Pugs that have only one copy of the NME/PDE associated markers = (NS) are also at low risk of developing the disease. S/S - Dogs that have two copies of the NME/PDE associated markers. These dogs are at higher risk of developing/being affected by NME/PDE. 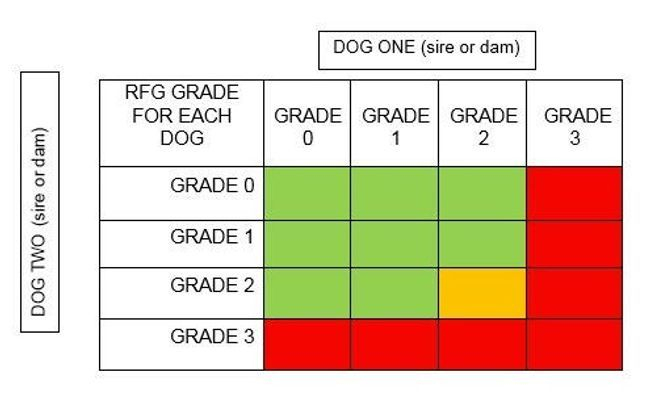 These test results can be used by breeders to carefully select matings so that they can avoid producing S/S status puppies which would have a higher risk of developing/being affected by NME/PDE. N/N mated with N/N = 100% of puppies will be (N/N). N/N mated with N/S = 50% of the puppies will be (N/N); 50% will be (N/S). Breeders are advised against breeding out the S gene, because 40% of Pug Dogs have the S genotype in a heterozygous (N/S = 29%) or homozygous state (S/S = 11%). Eliminating the S genotype will lead to a considerable loss of genetic diversity and in turn may create other health issues. Patella Luxation, otherwise known as dislocating kneecap(s) is a common condition seen in dogs, particularly amongst small and toy breeds. It can sometimes be caused by trauma to the leg, over exercise when young, obesity and or an inadequate diet, but in most cases it is a congenital defect I.E present before birth. The exact cause of patella luxation is unknown, but it is thought likely to be hereditary.I.E.Inherited from one or both parents/grandparents. For this reason dogs diagnosed with patellar luxation should not be bred. Diagnosis and testing is done through manipulation of the knee cap, usually (but not always) whilst the dog is under sedation. Patellar luxation is graded on a scale of 0 (Normal) to 4 (severe), using the Putnam (1968) testing and scoring method. Grade 1: the patella can be manually luxated with the stifle in full extension, but when pressure is released without manipulation of the limb the patella regains its original position in the trochlea. Spontaneous luxation of the patella during normal joint motion rarely occurs. Typically stifle and hock in a straight line with no deviation of the hock. Grade 2: the patella can be completely luxated, but manipulation of the hind limb (flexion of the stifle) causes the patella to regain its original position in the trochlear. On physical examination, the patella luxates easily, especially when the foot is rotated. Grade 3: the patella is found (at least once) spontaneously luxated with the animal in a standing position or it is permanently luxated but can be repositioned manually or by manipulating the limb. Very shallow or flattened trochlear. Grade 4: the patella is permanently luxated and cannot be repositioned. May scarcely be able to walk or may move in a crouched position with both limbs partially flexed, and/or they may carry the affected limb. Trochlea is shallow, absent or even convex. A Grade 1 luxation can often go UN noticed. With a Grade 2 luxation, the dog will probably be showing occasional symptoms of lameness. Grade 2 does not always require surgery and can often be managed, by a combination of things. Gentle, but regular up hill road walking to build up strength in the muscles and ligaments in the hind legs, and ensuring that the dog is getting and appropriate diet and is not carrying any excess weight. Grades 3 & 4 will require referral to an orthopaedic vet, and im most cases will need to be surgically corrected/repaired. The Cost of surgery, plus the referral and consultation fee`s will vary depending on what part of the country you live in, but as an approximation, costs can be anything from £1000-£2500 per leg. Pyruvate kinase deficiency (PKDef) is an inherited hemolytic anemia caused by a defect in the enzyme pyruvate kinase. There are different breed-specific mutations of Pyruvate Kinase. The PKDef mutation is found in Basenji`s, Beagles and Pugs. Affected dogs do not have sufficient quantities of red blood cells to adequately supply the body with oxygen. Observable signs in affected dogs may include lack of energy, low exercise tolerance and fatigue in dogs that appear otherwise fit. Clinically, dogs affected with PKDef present with a severe anemia, increased iron levels, increased bone density, may have an enlarged spleen and liver as well as fibrous connective tissue replacement of bone marrow cells. Bone marrow and liver failure typically occur by 5 years of age. The disease is inherited as an autosomal recessive disorder. Both sexes can be affected by this condition, and two copies of the defective gene must be present for dogs to be affected. N/N - No copies of the PKDef mutation; dog is normal. N/K - 1 copy of the PKDef mutation; dog is a carrier and unaffected but has half the normal Pyruvate Kinase activity of N/N dogs. K/K - 2 copies of the PKDef mutation; dog is affected. Degenerative Myelopathy (DM) is a spontaneously occurring, adult -onset spinal cord disorder that affects dogs,and is similar to Amyotrophic Lateral Sclerosis (ALS) or Lou Gehrig’s disease in humans.With DM, there is degeneration of the “white matter” of the spinal cord and the peripheral nerves.The white matter tracts of the spinal cord contain fibers that transmit movement commands from the brain to the limbs and sensory information from the lim bs to the brain.Although the disease is common in several breeds, including German Shepherd Dogs,Corgis, Boxers,Chesapeake Bay Retrievers, Rhodesian Ridgebacks, and Standard Poodles,it can occur in other breeds and crossbreed dogs as well.DM, on its own, is not a painful disease.However, compensatory movements for a weak hind end can cause the dog to develop pain in other areas of his body such as his neck, shoulders, and front limbs. Unfortunately the ultimate outcome of DM is death. There is no cure The good news is that intensive physical rehabilitation and properly fitted and selected assistive equipment can extend a dog’s survival time by up to three years, versus six months to a year for dog s who do not receive therapy. N/N - Normal/Clear = Tested negative for the Degenerative Myelopathy mutation – no genetic risk to the dog or any offspring. A/N - Carrier = 1 normal and 1 abnormal/mutant copy of the gene detected. The dog therefore is a carrier of one Degenerative Myelopathy gene. Dog could possibly pass on either a normal or abnormal gene to any offspring. A/A at risk = The dog carries two copies of the gene mutation strongly associated with Degenerative Myelopathy. There is a higher likelihood that the dog will exhibit symptoms associated with the disorder. The dog will always pass on a copy of the mutation to any offspring. The DNA test does NOT diagnose DM,however it does determine the risk each individual pug dog has for developing it during its lifetime.The test results can be used by breeders to carefully select matings so that they can avoid producing A/A status puppies which would have a higher risk of developing/being affected by DM. Due to their large eyes and flat faces Pugs and many other brachycephalic breeds can quite easily scratch the surface of their eyes whilst on a walk, in the garden snuffling amongst plants/bushes or even just playing with another dog, and if UN noticed and left untreated this can lead to them having eye ulcers. In extreme cases when treatment may have been sought too late, this can even lead to them having to have the affected eye removed. Pugs eyes must be checked on a regular basis, and if excessive tearing, blinking or clouding of the eye is noticed vetenary treatment must be sought as soon as possible. A Pug is a brachycephalic breed (‘brachy’ meaning short and ‘cephalic’, meaning head). The soft tissue in the nose and throat of some brachycephalic dogs may be excessive, and can sometimes partially obstruct the airway making it difficult for them to breathe normally (causing heavy panting or noisy breathing). This condition is known as BOAS. There is now a BOAS testing scheme available. The way that BOAS is inherited is not fully understood and is not always entirely predictable. If breeders use the guidelines below we hope that it may help to reduce the chances of breeding puppies affected by BOAS. However, even if used responsibly, this guidance cannot guarantee that a puppy from two unaffected parents will be free from BOAS. This website and all its content is copyright © of Roxmarr pugs February 2013.All rights reserved.